Chandy Oommen, son of Kerala Chief Minister Oommen Chandy would be a a candidate for the Youth Congress organisational polls in the State. 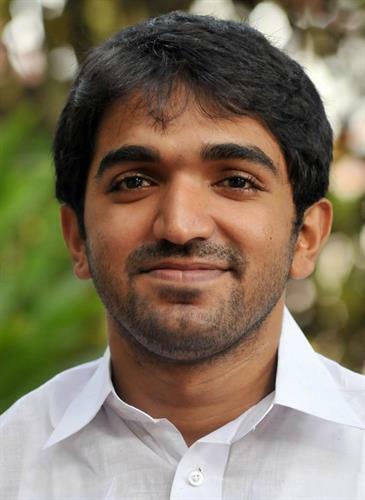 27 year old Chandy Oommen, was general secretary of National Students Union of India (NSUI). The Youth Congress election which is being held on 3rd and 4th of June will mark the debut of Chandy Oommen as a candidate from Kerala contesting for the post of general secretary. Chandy Oommen, son of Kerala Chief Minister Oommen Chandy would be a a candidate for the Youth Congress organisational polls in the State. 27 year old Chandy Oommen, was general secretary of National Students Union of India (NSUI). Being active in student politics from 2000, the young politician is keeping a close eye on his future and wish to follow the footsteps of his father. The Youth Congress election which is being held on 3rd and 4th of June will mark the debut of Chandy Oommen as a candidate from Kerala who would be contesting for the post of general secretary. While during his studies in Delhi, the younger Chandy had been an office-bearer in the NSU. As the elections in the Youth Congress are being held on the basis of parliamentary constituency, Chandy Oommen would be contesting from Mavelikara seat. As contesting for the post of general secretary, Chandy has to face a tight competition from Rajesh Chandradas representing the 'I' group. Group politics is much visible in the youth congress election too. The election is being conducted to elect 20 seats and 14 office-bearers in the State committee which include president and two general secretaries which are the key posts. There will be a close contest between the 'A' and 'I' group. For the post of president, Dean Kuriakose a representative of the 'A' group is pitted against P. R. Mahesh of the 'I' group while Jebi Mather, daughter of KPCC general secretary K M. I. Mather would have a close fray against Adam Munshi of the 'I' group. With more than 60,000 voters and 71 contestants for the post of president, general secretary and secretaries, it is much sure that the election would be too tight. Those who receive more than 200 votes would become the general secretary. After the polls spread over two days, the results will be declared on 6th June. More interestingly, Chief Minister Oommen Chandy also was a part of student politics and become the president of the Kerala Students Union in 1967-69 and of the Youth Congress in 1970-71. Since 1970 he had been contesting the assembly elections from Puthupally in Kottayam district and has won 10 consecutive elections in a row.